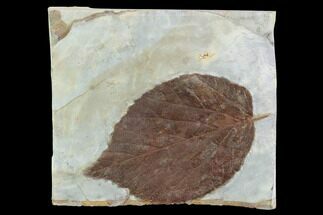 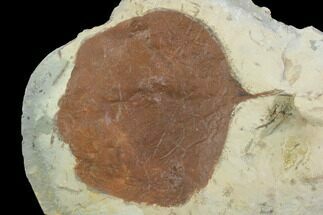 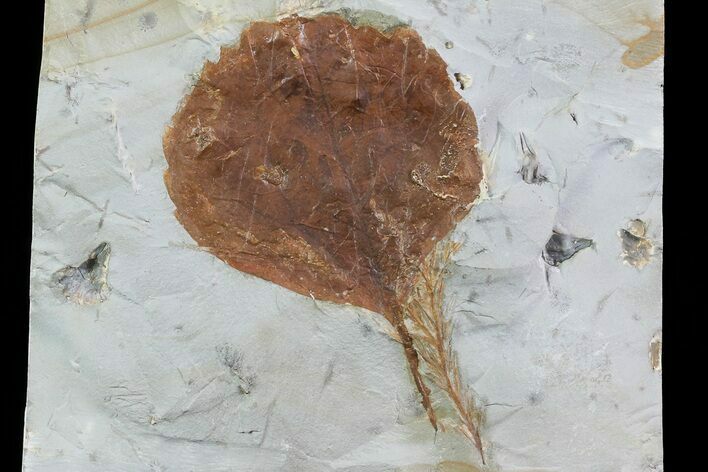 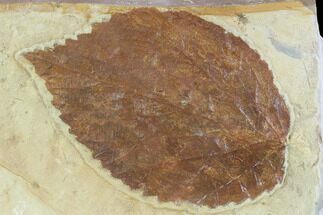 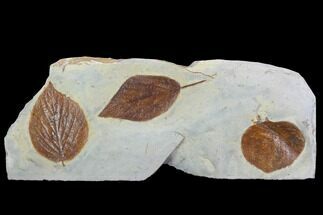 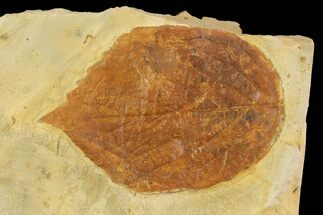 This is a detailed, fossil leaf of Zizyphoides flabellum from the Fort Union Formation of Montana. 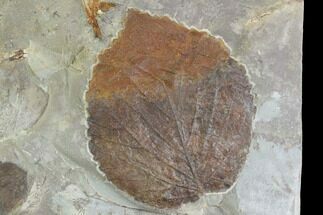 It is from the Paleocene, or approximately 60 million years old. 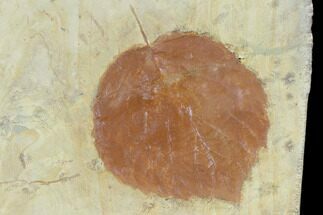 The dark orange preservation contrasts well against the lighter shale, and all the veins of the leaf can be seen in good relief. 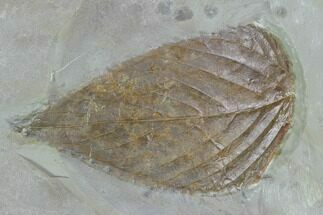 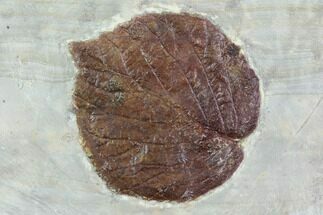 There may be some touchups to the surface of the leaf where some of it flaked onto the negative during collection.